France's IDRIS computing center will deploy a new HPE SGI 8600 supercomputer in June, financed by the national high performance computing institution GENCI. Named Jean Zay, after the French politician who was imprisoned by the Vichy government during World War II, the supercomputer is set to deliver a peak performance of 14 petaflops. The system will be designed with artificial intelligence workloads in mind, following President Emmanuel Macron's call for a national AI strategy. The system will sport 1,528 Intel Xeon Scalable nodes and 261 GPU nodes, each with four Nvidia Tesla V100 (32GB) GPUs, totaling 1,044. DataDirect Networks will provide flash storage capabilities with a read/write capacity of more than 300GBps, and the system will be cooled by a direct liquid a system. 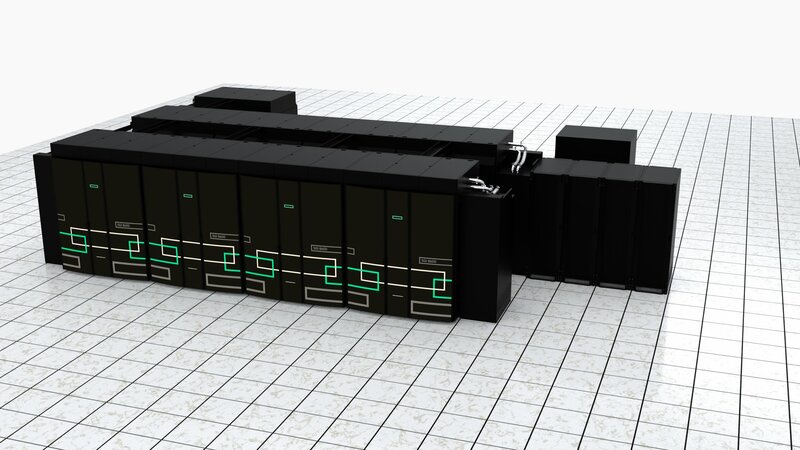 "Supercomputing has tremendous potential to accelerate innovation in AI for public and private sectors here in France and we are building a fast, powerful machine for GENCI to become France’s leading supercomputing research and development center for AI," Gilles Thiebaut, VP & MD of HPE France, said. The system comes as France is investing heavily in supercomputing infrastructure, with plans to be a candidate to host one of the European exascale European supercomputers, co-financed by the European Commission in the framework of the EuroHPC Joint Undertaking. For more information on the various efforts to build the first exascale supercomputers, be sure to subscribe to DCD Magazine. In the next issue, we hear from the heads of the EU's exascale initiatives, the head of the Department of Energy's Exascale Computing Project, the chief scientist behind China's HPC program, as well as HPC and exascale experts from IBM, HPE, Cray and Arm, and more.